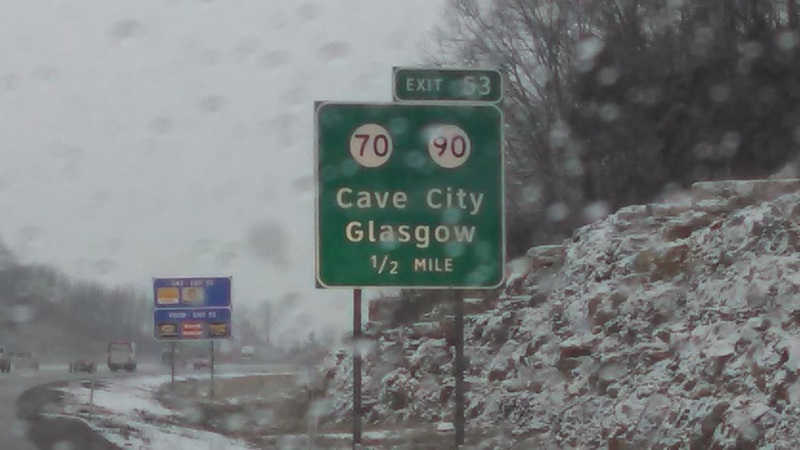 Last Thursday afternoon, I left Michigan in the snow. Perhaps the last snow that I will ever see in person. 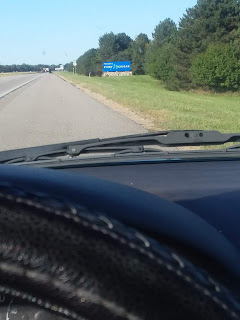 I had some sloppy driving down the coast of Michigan and then jumped on US31 at Benton Harbor to pass through South Bend and then on to Indianapolis and points south. Away from the lake, the snow tapered off and I had decent driving down through Indiana. I made it to the other side of Louisville that first day. After such a long day, the last ⅔ on the road, I was tired enough that I just stayed at the first motel I found that wasn’t astronomical. That means, of course, I still spent more than I had planned. I was up and going the next morning and promptly ran into some more snow south of Louisville. It was still in the twenties, but the car was toasty warm and I sallied forth. I had in mind to make it into Florida by the evening. 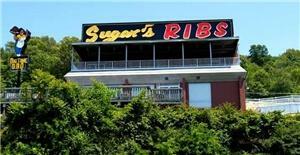 In Chattanooga, Sugar’s Ribs sits up on a hill over I-24. I’ve been driving by the place for nine years in a semi. The ramshackle building, tin roof and all, screamed southern barbecue! My mouth watered every time I drove by. Coming so close by car, I had to stop. With a hair pin turn leading to their tiny parking lot, I was glad I had never attempted to go there in a semi. I ordered a half slab of ribs with fire roasted onions and okra on the side. The waitress, oozing southern flirty charm, recommended mixing their “Sweet and Goopy” BBQ sauce with the “Hot Lips” hot sauce. She had sized me up just right. The hot sauce was a flaming combination of jalapeno, habanero, onion and garlic. The ribs were fantastic. I couldn’t lift much to my mouth by grabbing a bone, because the meat just fell off, and stayed on the plate. The sauce combination was perfect and I bought a bottle of Hot Lips for the boat. Now I had to get back on the road and make it to Florida without needing a nap! Judiciously, I had only eaten half of the half slab. The rest was boxed up and waited for me in the back seat. The leftovers would come in handy when I was stuck in traffic south of Atlanta. The traffic through Atlanta was as congested as expected, but just outside the loop, around Jonesboro and Stockbridge, 20 miles of construction had turned I-75 into a parking lot. Of course, just north of Atlanta, I had thought that I would wait to make a pit stop and get some gas AFTER Atlanta. Sitting on the highway for a good while, even my trucker’s bladder was starting to complain. Shortly, I made it off the road to a gas station; gas was my SECOND priority at that point. I decided to take the backroads to get around the construction. According to my atlas, I could jump over to US41 and take it down to Perry, GA to get back on the highway. Once into the little town of Jonesboro, however, at 5:10 pm, in addition to the locals going home from work, MANY Georgians thought to get off the highway and take 41 as well. Groan! More sitting still in the car. Eventually, however, I got through the traffic and had a pleasant back highway trip down to Perry. I saw some deer and lots of little farmettes and homesteads. 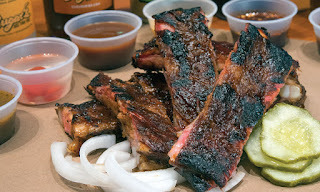 In the meantime, I had eaten my leftover ribs. It was a trick dipping that awesome wood smoked meat in sauce while driving through backwoods Georgia, but it made me feel like a native. Just before I got back on I-75, near Perry, I made a reservation for a motel in Lake City, Fl. I really didn’t feel like driving another two and half hours, but it made me stretch and get a little closer to Miami. One highlights of that second day on the road was standing in line at a truckstop, wearing a Buddhist Peace Fellowship t shirt, surrounded by a busload of Army recruits in full fatigues. 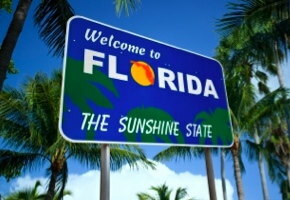 But the real highlight was, on that second day, I had made it into the State of Florida! Hey Todd, it's Marty, met you in Norfolk while you were delivering with Alex. Give me a call if you get this, I will be in West Palm all day Friday 3/04. Pretty short notice but thought we could meet up possibly. Would love to hear the rest of this story in person. Thanks, Marty! I haven't figured out a way for Google to notify me of comments in a timely way. I'll text you my number when its not as late as it is right now. I'd love to try again next time.